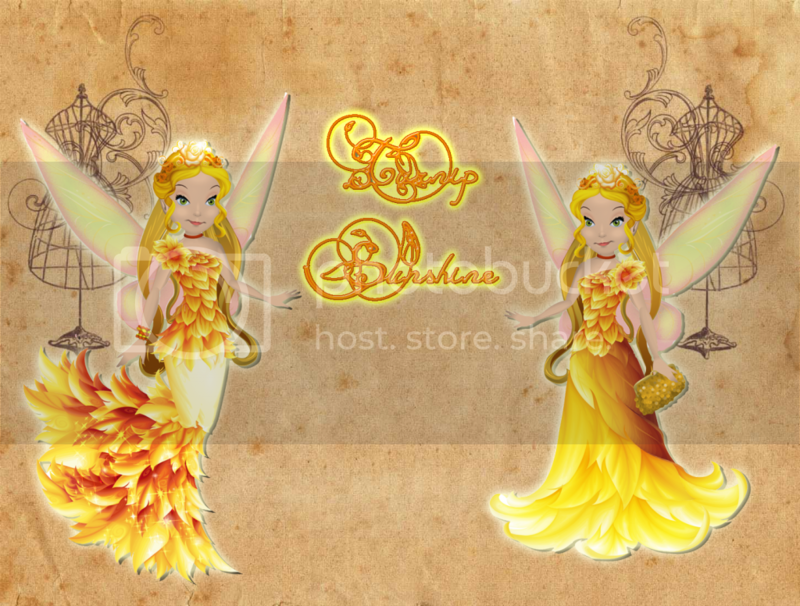 Well my fairy friends, I finally got some of my fairies images sorted so that you could see the combinations they came up with using their newly acquired queen's boutique gowns. So, here are the 6 fairies who didn't get to fly into the hollow much. There are a few of them who couldn't decide on just ONE outfit, and others that once the outfit was on, there was NO way I was going to be able to get them to change out of it. She loved the firey look of the first and the more classic look of the second. She couldn't decide which "heart" top to wear. She loved the peafowl top, but thought the all purple was to fly for as well. 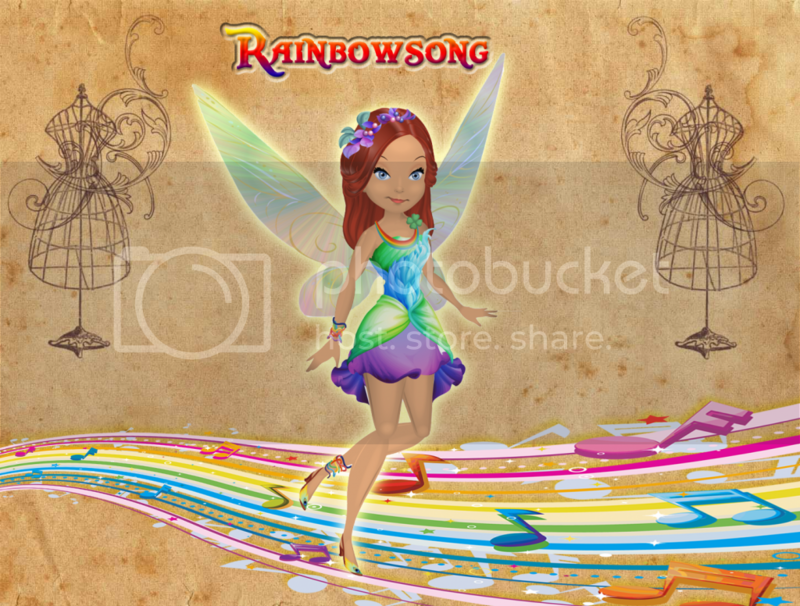 Rainbow in her name, rainbow in her fashion! Sassafras' nick name of Sassy fits her personality and her fashion sense. 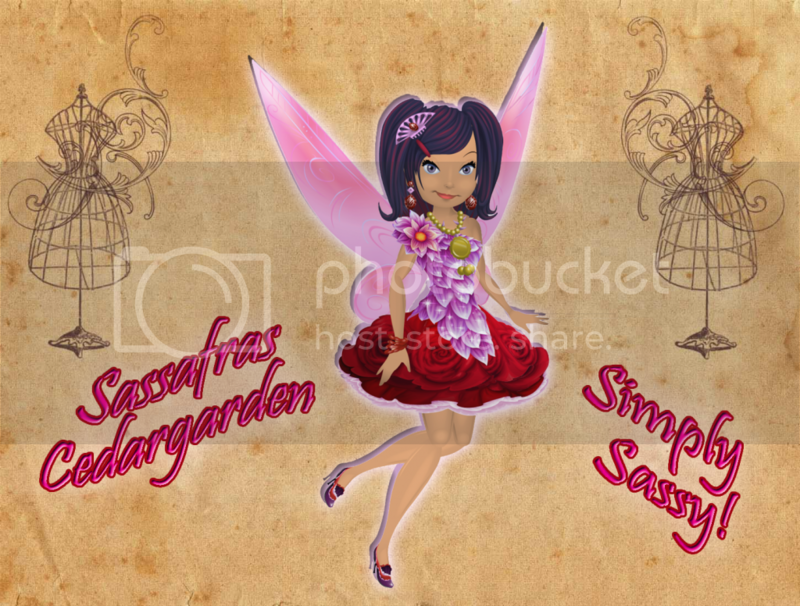 I will post some more mixing and mashing fashions once I get the other fairies images together. I wish I had more time to mix and match outfits during the last two months. It was so much fun to create unique Boutique outfits once you have purchased all of your favorite gowns. To take care of so many fairies and create a unique personality for each one of them.. I don't know how you did it, I could never be able to manage them all. Wow Sapphire! Each outfit is looking so gorgeous. I love Sassy's outfit.Very creative. And others are exceptionally pretty too. Wow Sapphire those are so gorgeous! 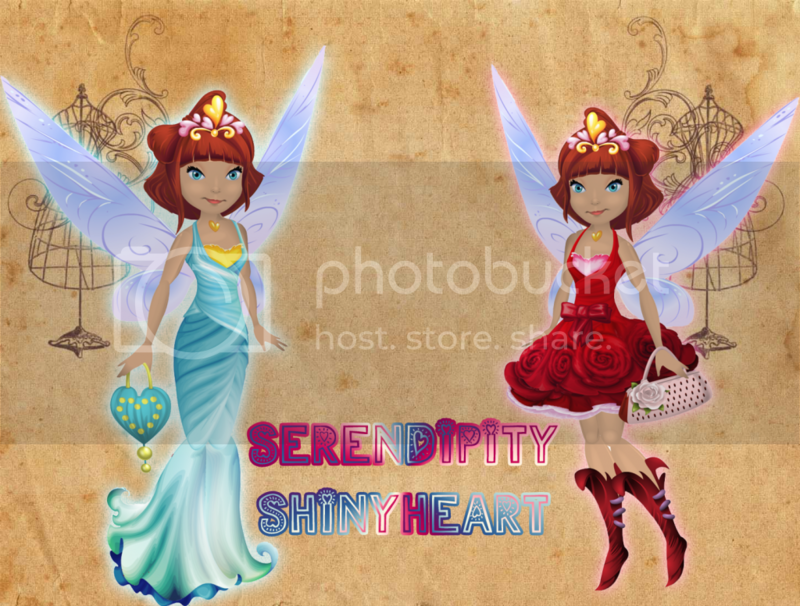 I especially love Serendipity's, though they're all pretty in their own way. 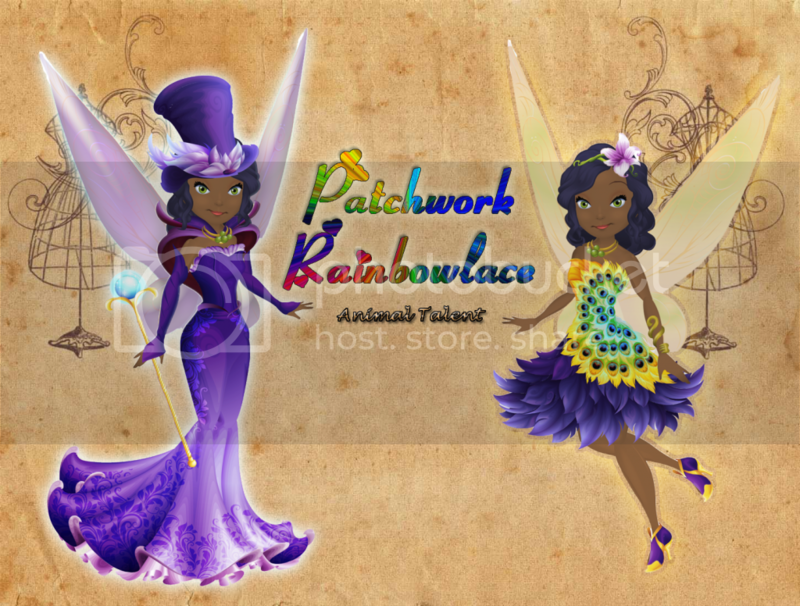 Also, one more thing... my fairy Echo has an outfit almost exactly like your Patchwork's! Guess we can be sort of twins now. I am glad that you are all enjoying the mix and match fun I had. I would love to see some that you all came up with too. @Night Wish ~Oh my! We are twins! Thanks for sharing. Last edited by Sapphire Sweetfeather; 09-30-2013 at 10:39 PM. I adore these Sap!! Loving them very much, can't wait for more!!! Here are my 3 sleeping beauty fairies: Flora, Fauna and Merryweather in their Fairy Best. These 3 fairies were created when I realized that you could name your fairies after the 3 of them. 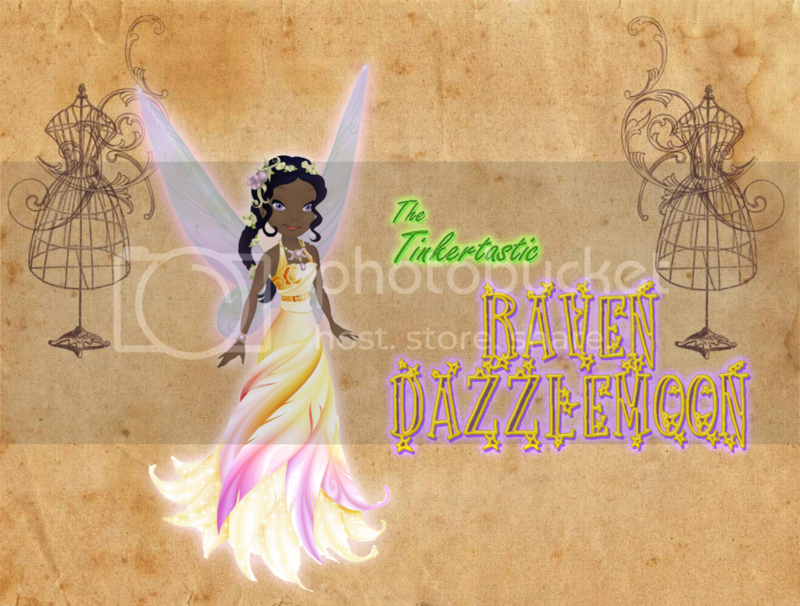 They were intended to be versions of the fairies when they were younger, before Princess Aurora. These are just beautiful Sapphire, the idea of having the three fairy sisters flying in Pixie Hollow is just too perfect! ^_^ I totally relate to your large family of fairies because I had a huge family as well Also, I love Serendipity's hair! She really wears that style beautifully! If I had to choose a favorite combo...I'd choose Patchwork's combo with the peafowl top <3 There is something so perfect about how those two pieces fit, and the shoes tie it together sooooo well! Oh my Sapphire, all of them are just really beautiful! I love all of it.